We’ve nearly survived the Apocalypse so that can mean only one thing – TTFE will be here for another year! That also means you can give your view on all things TTFE if you haven’t already! Yay! 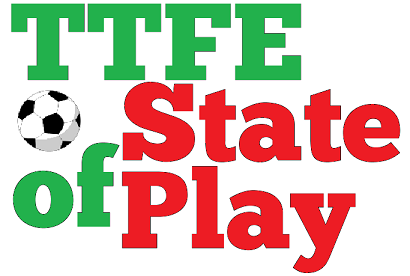 State of Play was launched earlier this month and already over a dozen of you have completed the short questionnaire. But we’re not stopping there – I want to get as many views as possible from the regular players down to the part timers who come to our aid when we’re short. The answers you give will not just be put on a dusty shelf but will give us a snapshot of where TTFE is and where it is going. A few of you have mentioned that you have not received the post containing the link to the survey, so I will be resending it out shortly. One way or another you’ll get the chance, whether it is via Facebook, email, through the forum or a good old trusty pen (remember those?). Final entries should be sent in by December 31st and on completing the survey you’ll be given instructions on how to enter the free prize draw to win a whole TENNER, yes, £10 British pounds.